Reindeer Ring Toss Just $5.99! Down From $13! FREE Shipping! You are here: Home / Great Deals / Christmas Deals / Reindeer Ring Toss Just $5.99! Down From $13! FREE Shipping! 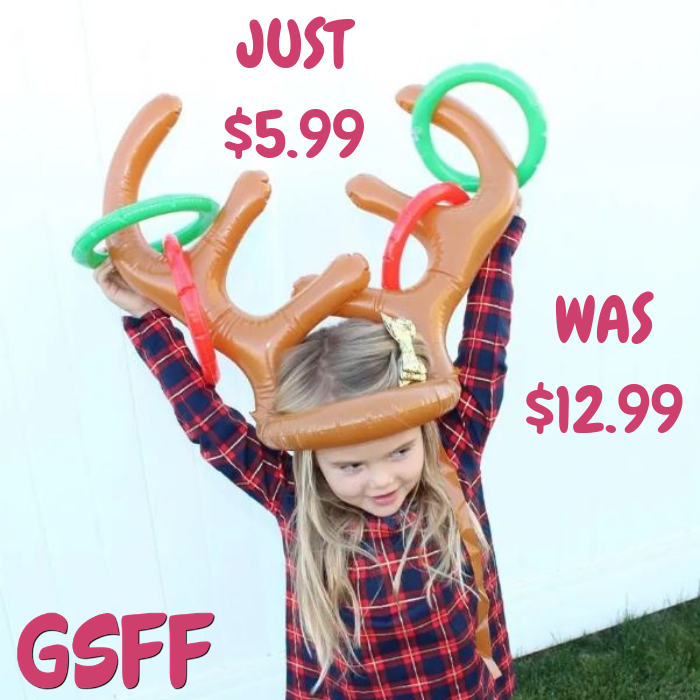 Jane has this Reindeer Ring Toss on sale for just $5.99 down from $12.99 PLUS FREE shipping! The perfect game to entertain for ANY age! Secure antlers around chin and take turns tossing rings on the horns. Perfect for any event this holiday!